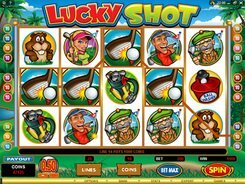 Lucky Shot is a funny golf-themed slot with 5 reels and 20 paylines. On the reels you will come across the symbols of golfers, golf clubs, golf carts and other symbols suited to the theme. 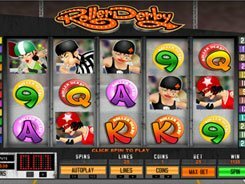 A coin denomination is adjusted from $0.01 to $0.5, with up to 10 coins per line, and this will see your total bet being anywhere from $0.01 to $100. 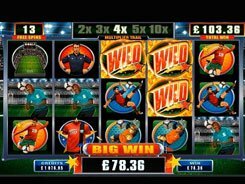 The slot has no wild symbols, but it comes with two scatters designed to boost your winnings. Three or more Golf Cart symbols scattered anywhere activate 9 or 18 free games at a x2 multiplier. 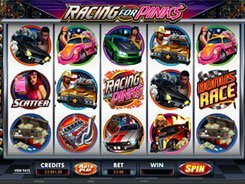 The number of free spins you get is random. The Pick a Gopher Bonus is triggered by 3+ Gopher scatters. In this bonus feature, you will see 2 rows of gophers, and you will be given 3 to 5 shots depending on the number of symbols that have triggered the feature. Each selection awards a decent cash prize. 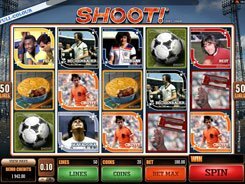 The Lucky Shot logo is the biggest payer in the slot awarding x15,000 times a line bet, for five of a kind. 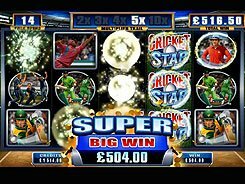 So if playing at max, you can hook a massive win of $75,000. PLAY FOR REAL MONEY!